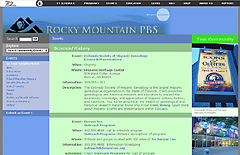 Rocky Mountain PBS station members can participate in online clubs such as the Kids Club, Cooks! Club or British Comedy Club. 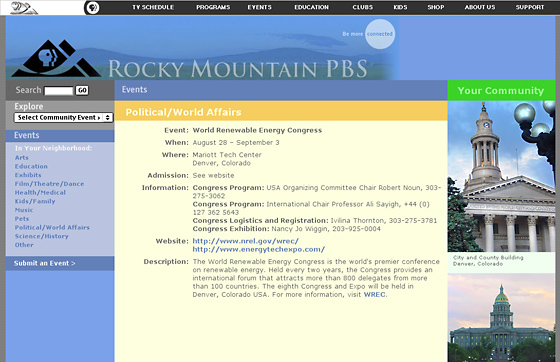 Rich with content, these clubs host program, cast and event information that is a trivia lovers dream! 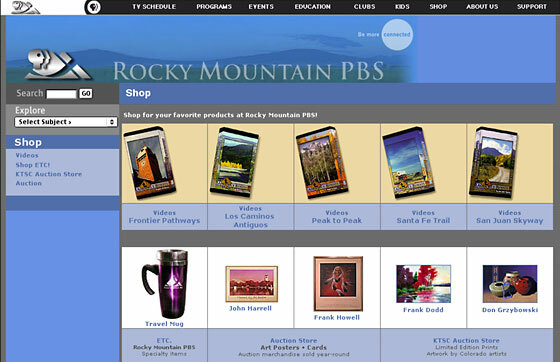 Kids can enter contests, share stories and drawings, play games, and learn about PBS events. At The Cooks! Club viewers will find recipes, tips and information about their favorite cooking programs. One of the networks goals is to be a meaningful part of the Colorado community. We created an Events section that features submissions by the local community. Colorful photos capture the essence of the Rocky Mountain region and honor organizations, landmarks, architecture and artwork throughout Colorado. 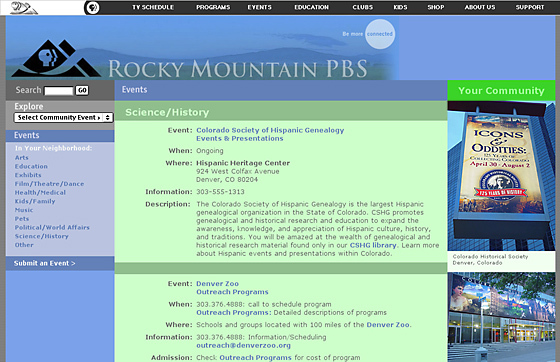 Education has always been an important component of Rocky Mountain PBS. The site reflects this with an array of rich resources specifically for teachers, such as an online tutoring service and courses, lesson plans, telecourses and multimedia resources. 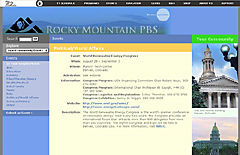 Teachers can also participate in PBS nationwide initiatives such as Ready to Learn and Ready to Grow.